August | 2013 | Sunny's Music Studio :) Professional Music Lessons in Toronto & Montreal ! In a world where our younger generations seem most excited about the newest and coolest computer games and electronic toys they could get their hands on, it’s become increasingly hard to get children to focus on and develop an interest in learning. Innovation has never had a more important place in the classroom. For teachers this means having to spend more time on activity preparation, and having to force themselves to be much more creative than in the past. But how do you go about applying changes to your traditional teaching methods, and how do you even come up with new ideas? Constantly coming up with new ideas for the classroom can be exhausting. With time it’s completely normal to stall and be unable to produce anything worthwhile. So an easy way of getting around this is to schedule an idea exchange. This could take place both at a school level or regional level, and involve as many teachers as you wish from as many departments as you wish. Essentially, the more the better as you can not only pool together existing ideas, but also generate new ones together. It could take the form of a one-day conference or seminar, in which teachers share their experiences, and explain how they implemented new methods in their teaching, as well as how the children responded. Alternatively, it could just be an informal gathering at a cafe or pub after classes have finished for the day. A relaxed and jovial atmosphere is quite likely to be the best for a spot of creative brainstorming and idea sharing. While the idea of learning outside the classroom through educational school trips has been around for a while, there are additional elements you can incorporate in the visit to make it more effective. First of all, there is now a much vaster pool of opportunities to choose from when it comes to school trips. Museums are a classic example, but nowadays many enterprises will be more than willing to welcome a class and show them around to see how things are made. At your next parent teacher evening, ask the parents if their workplace might be willing to schedule a visit. This gives kids an insight into how things work, and how companies are run. You could even enquire whether some employees might be willing to give a talk at some point during the day. Instead of just going on the visit without doing anything other than listening to what the guide is saying, give the children additional assignments. Though it will involve lengthy preparations, a quiz or a Q&A-type challenge for the day will keep the kids occupied and, hopefully, focused. If this can be graded, this will add motivation. Science experiments are an age-old way of adding a touch of fun to learning. Not all of these have to involve traditional lab equipment, however. They can be made even more fun by using household objects that you can ask the kids to bring along to class. For example, did you know you can make a battery out of fruit? You will need a few of the more “hi tech” devices found in a school science lab, but the main “ingredients” are lemons, coins or nails, screws, wires and a small knife. Other experiments could focus on producing power from running or cycling. Kids will be so happy to take part in creating something with their bare hands. The only limits are your creativity, and the ever present health and safety regulations. Harvey McEwan writes to offer information and advice on a variety of areas, from science experiments to technology to holiday destinations. View Harvey’s other articles to find out more. If you’re trying to look for the best and easiest fast learning techniques, well then, I have got you covered. There are many quick learning articles and courses out there but it is hard to find something that is applicable and effective to anyone- no matter where you are, what your background is and even how old you are. In this article, we will talk about three fast learning techniques: using music, incorporating visuals and finding a mentor. By the end of this article, I’m sure that you would be able to look at quick learning in a whole new light. This learning technique is very effective and the great thing about it is that you can use it anywhere. 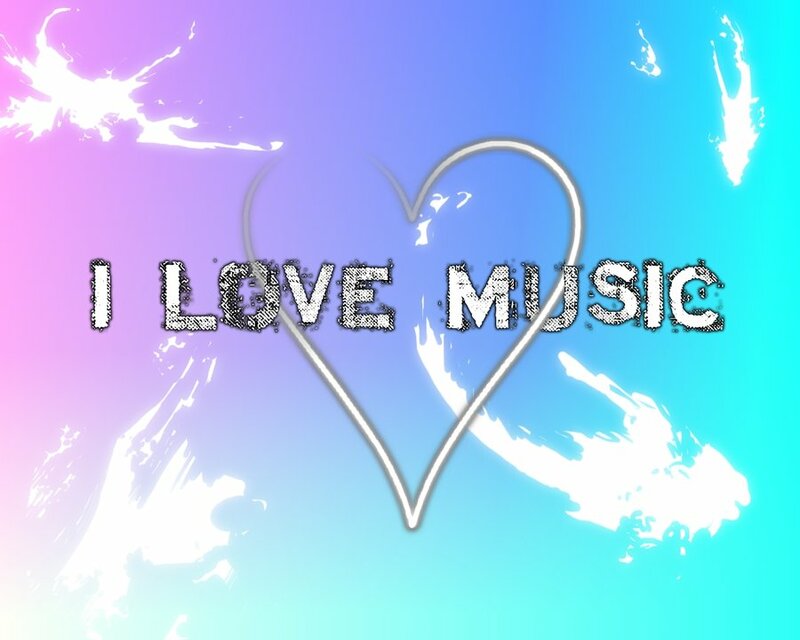 Just download some baroque or rococo music into your music player and you can start learning new things faster. The way music works is that it helps a person relax and focus better on the task or lesson at hand. But since these types of music are kind of upbeat too, you would be relaxed in just the right amount. There are a lot of people who are visual learners. But as fast learning technique, you can be an auditory, spatial or intrapersonal learner and it would still work! When you use photos, flowcharts and other types of visual aids, your brain will be more interested in it and it will help retain that new information longer and faster in your memory bank. Of course, there’s no denying that one of the best ways to learn quick learning is through learning from someone who is a guaranteed master in it. The truth is, there are a lot of accelerated learning courses out there today and you could easily take your pick. If you do decide to go with an speed learning mentor, be very cautious with your research and try to know as much as you can about that person. Just remember to be really careful with who you pick and make sure that you will get the best experience and fast learning techniques from your chosen mentor. Now that we have these very simple and effective quick learning techniques out in the open, go out there and try them yourself. Remember, the best way to see and experience real results from these accelerated learning techniques is through practice. The moment that you know how to perfectly and effectively use music, visuals and mentorship programs to use, you can go out there again and find other accelerated learning techniques that can make your life so much better. Providing kids at home with the right directions in terms of behaviour and learning is a concern for parents. It is at this tender age that they can be moulded with ideas and which leave deep imprints in their mind. Variety of activities are carried out and indulged in by the kids, who are in the play schools or just entering their full-term at schools. Even for the pre-teen kids, activities are a way to learn new things, especially such things, which can make a mark on their behavioural pattern in their grown up stages. But, simply put, the work of training kids in the right direction is easier said than done. Children’s education and learning is always being innovated. Play schools are coming up in large numbers, where small kids below the age of 4 – 5 years are acclimatised with the school going conditions and made to learn the basics by means of pictorial and graphical representations. 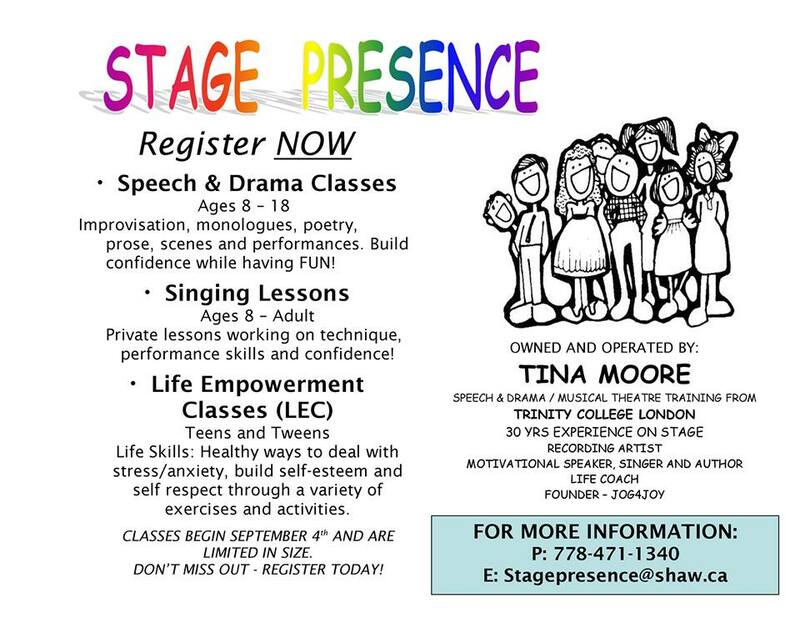 Beyond the play schools, when the kids are into their pre teen stage, there is still need to learn. This learning will no more be about the alphabets and rhymes. At the post play school years, children are required to be taught the importance of healthy communication and etiquette skills. It is at this stage that their interests and hobbies can be identified. Since every kid has a different mindset, taking personal care and giving space to grow is the key. Edutainment is the new way of learning in the 21st century, where learning is provided through entertainment. Making funkey monkeys out of the kids is not only charming but also gives them a space where their mind is more receptive. In an environment, where kids come in contact with others of their age group, and work together towards common goal, is the essence of edutainment. By creating an environment of such kind, children can be made to learn a lot of things, although these might not be necessarily related with studies. In a way, it is about polishing the extracurricular activities and making them learn various things from a young age. As a result of such endeavour, cooking classes for kids are being started in various institutions, where edutainment is stressed upon. People want their kids to learn the basics of cooking and interested children can enrol for the cooking classes for kids, where they get together to prepare a dish, as simple as a cake, under the guidance of an expert. Even modern dance classes are found to be organised in such sessions. Bringing together a number of kids under the same roof or in a particular occasion can be a sportive affair. By being in contact with other, etiquette skills can be brushed and this is being done by organizing indoor or outdoor birthday parties. Sometimes, children are encouraged to covert the area into balloons party place by blowing balloons and putting them in different arrangements. There are various ways in which edutainment can be done. It is about striking a few cords of creativity and ideas to help children run will have a free flow. People are nowadays organizing such events in their communities by opening up kids’ centres or also calling for outdoor birthday parties, where a number of children come together to do something creative. In such occasions also, classes on dances and other subjects can be organised, giving a fresh look into the learning process. 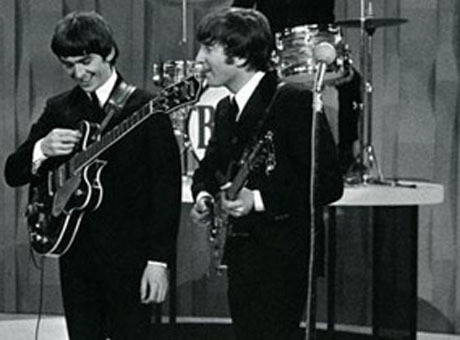 Learning The Beatles guitar chords is an excellent way to teach yourself guitar. Love them or hate them, the music of the The Beatles has endured and stayed relevant for more than 40 years for a very good reason. Their early sound tipped conventional music of the time on its head and the The Beatles’ style continued to evolve throughout their careers. While known for their faultless vocal harmonies, the musical ideas and techniques that the The Beatles used were filled with color and were the envy of many a rival. This is the reason that their music remains relevant today. 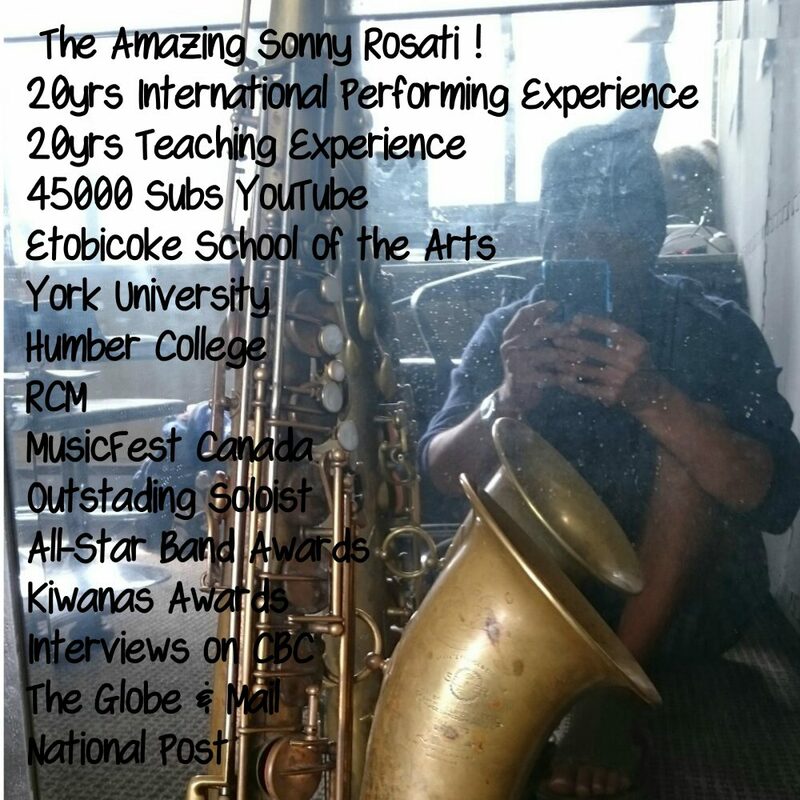 When learning any instrument it can be difficult to stay motivated long enough to improve beyond beginner level. I taught myself guitar as a teenager by listening and playing along with the music I enjoyed. For me, the music of the The Beatles opened up a whole new world of ideas and techniques, and of course The Beatles guitar chords have been reused by musicians ever since. Playing along with The Beatles songs absolutely took my guitar playing ability to a new level and years later I can still discover something new as I play along with some of my favourite albums. Another great thing about learning The Beatles songs is that there is something for every guitarist, from the absolute beginner to the advanced expert. As a beginner, you can focus on simple recordings such as “Ob-la-di, Ob-la-da” or “Yellow Submarine” which use simple The Beatles guitar chords and progressions. More advanced players can explore complex recordings such as “Strawberry Fields Forever” or “I Am The Walrus” which feature interesting chord shapes and unexpected progressions. It is worth mentioning that although those last two songs featured rich complex arrangements on the final recordings, they are both based on very simple musical ideas, which translate very well to a basic acoustic guitar. That is the beauty of the The Beatles music, even when you strip away the color and decoration of orchestras and layers of interesting instruments, the songs are still truly great at their core. So if you are new to the guitar or have been playing for some time and you are looking for a way to challenge yourself and improve, then I highly recommend picking up a copy of any The Beatles album, perhaps a greatest hits album, and picking up your guitar. Adam Fry is a Beatles fan and Internet Marketer with a passion for the guitar. Parental involvement in a child’s musical education is more important than before. 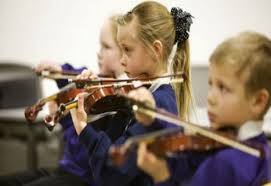 Usually, the age when children normally begin learning musical instruments is the age when they need lots of encouragement and approval. Parental involvement can help foster their children’s growth and at the same time see rapid results. 1. Be supportive of their choice of musical instrument. OK, you’ve never been very fond of loud noise, so it might be a little uncomfortable when your child tells you he wants to play the trumpet. However, realize that your child’s choice of musical instrument reflects his interests. 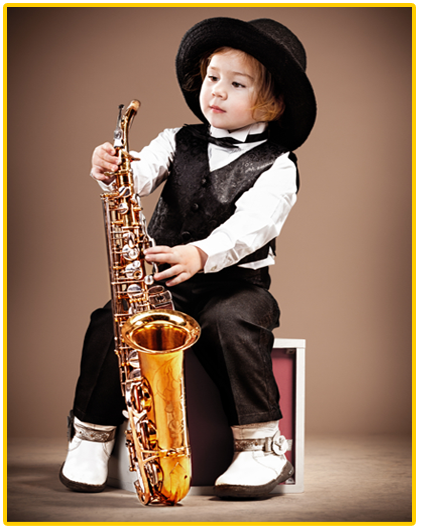 Whether he chooses a loud or soft instrument, your child is still showing a desire to express himself through music. If he decides he wants to sound really good on, say, drums, this goal will motivate him to spend significant amounts of time practicing, rather than being bored or restless. 2. Help them set a consistent daily practice time. Consistency is key. For beginners, I recommend practicing 30 minutes a day. But 30 minutes all at once may seem like forever! So, work with your child to incorporate practice time into their schedule. And remember, it doesn’t need to be 30 minutes consecutively. Does your child have 10 free minutes between breakfast and having to catch the school bus? Set aside those 10 minutes for practice time. What about 10 more minutes as soon as she gets home? The last 10 minutes can in the evening, either before or after homework. Make sure that you are aware of the practice schedule, and gently remind your child when it is time to practice. 3. Encourage them to perform for you several times a week. During elementary and middle school, children are still at an age where they seek your approval and want to make you happy. So, let them do that! How about asking them to hold a concert for you once or twice a week? Tell them they can decide what songs they want to play, and then set up an area in your family room where they can give the concert. If there are older siblings, ask them to be present as well. After the concert, make sure to tell your child specific things you enjoyed about their performance. 4. Take them to different types of concerts and musical theater events. Ever since I can remember, my mom has played recordings of traditional Chinese music in the house. This constant exposure to music at an early age helped me to gain an awareness and appreciation for quality music. If music is a constant in your home environment, then your child will sub-consciously absorb its positive influence. By exposing your child to recordings and performances, your child will begin to develop a natural ear for what good music can sound like. Many schools and local theaters have performances throughout the year. Great opportunities abound, so make sure to take advantage of them. 5. Praise them for every accomplishment. Praise must be genuine. If it is false or is merely masking criticism, your child will pick up on it. No matter what level your child is at, there will be something positive to praise. Whether it is learning a new note or a new song, be proud of your child for that. Praise them in front of their siblings or friends. They will remember your positive words, and it will serve to motivate them in an invaluable way. Since band directors have on average thirty to forty students to instruct during any given class, it’s very hard to address each child’s individual needs. If you decide to seek outside help by inviting a private teacher to work with your child, keep in mind that the teacher’s personality is as equally important as his/her background and accomplishments. If your child feels like he can trust his teacher, he will be more inspired to practice outside of lessons, and you will notice much quicker progress. In addition to verbal praise, give your child tangible rewards. For example, when she has achieved a personal goal, take her out for ice cream, her favorite movie, or a day at the zoo. Or perhaps reward her with a CD from her favorite flutist. If you follow these seven key strategies for involvement in your child’s musical education, you will notice significant improvement in your child’s progress.